Do you know how much time you spend in various apps and on your device? Do you want to gently be reminded of how much time you’re staring at screens and maybe even be limited in how much you can be lost on the screen? Should you want to remove those limits you created, just tap Delete Limit. Or better, just configure apps that are allowed to bypass the limits you’ve made by tapping Always Allowed and adding apps that are always allowed to work. This allows you to limit all your apps except, as an example, Maps and Camera. Country: Start with the country your ratings are set for. Music, Podcasts, & News: Then, choose what whether or not explicit content is allowed (and by content we really mean music, podcasts, & news). Music Profiles & Posts: Then choose whether the device is allowed to publish music options and posts about music. Movies: Then set a maximum AFTRA rating (e.g. PG-13 or R) for content. Books: Luckily, Tipper Gore never got her way so there’s no true rating systems for books. 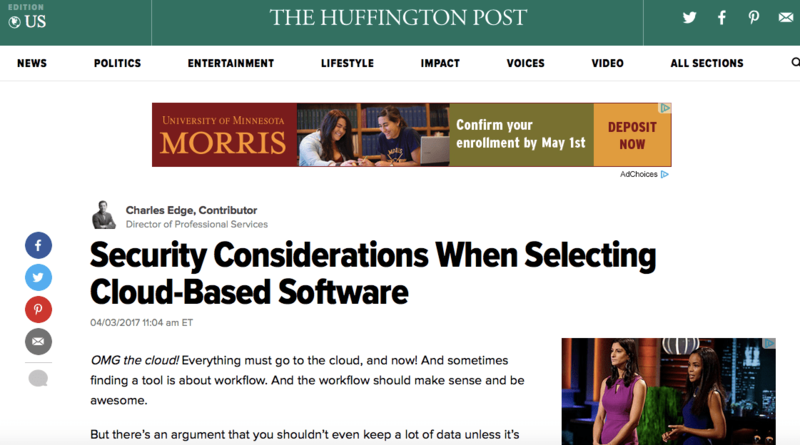 Just select Clean or Explicit. Next, go back and in the privacy section, configure what apps are able to access Location Services, Contacts, Calendars, Reminders, Photos, Share My Location, Bluetooth Sharing, Microphone, Speech Recognition, Advertising, Media And Apple Music. Finally, under allow changes, configure whether you’ll be able to make changes to Passcode Changes, Account Changes, Cellular Data Changes, Volume Limits, Do Not Disturb While Driving, TV Providers, and Background App Activities. Previously, I covered how to Programmatically Obtain Recent Wi-Fi Networks On A Mac. But, here I’m gonna’ go a step further and look at how to extract the password for a network as well. The two are stored in different locations. The recent networks are in the /Library/Preferences/SystemConfiguration/com.apple.airport.preferences defaults domain. If you pull one of those, then you can use the security command to extract the password itself. security find-generic-password -ga "Krypted Home" The output is as follows, showing everything that is tracked about this network in the keychain. keychain: "/Library/Keychains/System.keychain" class: "genp" attributes: 0x00000007 <blob>="Krypted Home" 0x00000008 <blob>=<NULL> "acct"<blob>="Krypted Home" "cdat"<timedate>=0x32303135313230373135313731375A00 "20151207151717Z\000" "crtr"<uint32>=<NULL> "cusi"<sint32>=<NULL> "desc"<blob>="AirPort network password" "gena"<blob>=<NULL> "icmt"<blob>=<NULL> "invi"<sint32>=<NULL> "mdat"<timedate>=0x32303135313230373135313731375A00 "20151207151717Z\000" "nega"<sint32>=<NULL> "prot"<blob>=<NULL> "scrp"<sint32>=<NULL> "svce"<blob>="AirPort" "type"<uint32>=<NULL> password: "test" You can constrain the output with awk and grep so that you’d only see the password as the output of the command. Then, you can feed it back into other objects, like a new .mobileconfig. Click for lightning. Merge-your-damn-self. But if you commit with a well written message (and not just a period to get past a sanity check), I’m happy. Tom Hardy likes it when you tell me wtf. In case anyone missed this fact: I love to write. The nerdier the content, the better. And when I heard that the JAMF Nation User Conference had a session for InfoSec (and specifically around how we do vulnerability assessments), I knew that was my kind of session. So, the marketing team was kind enough to let me write it up. 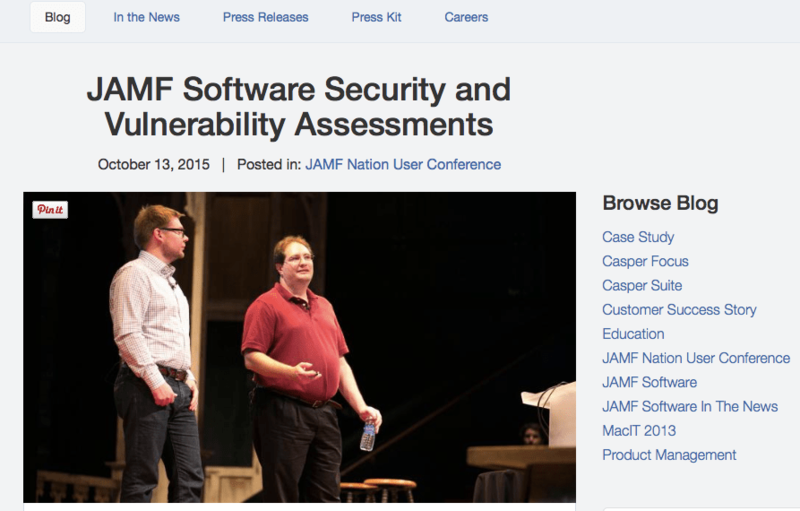 Here it is on the JAMF Software blog: http://www.jamfsoftware.com/blog/jamf-software-security-and-vulnerability-assessments/.